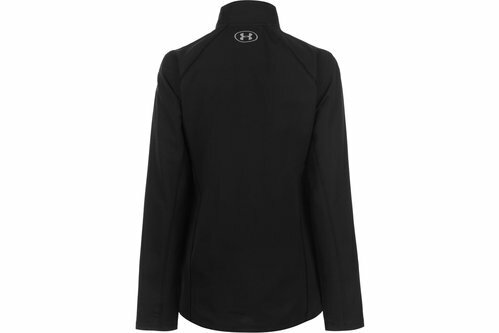 This Under Armour Out and Back Jacket is designed with UA Storm technology which repels water whilst still offering breathability. Its 4 way stretch design features long sleeves and a full length zipped fastening to the front as well as two zipped pockets. Reflective detail and Under Armour branding completes the overall look.